Trinity United Church, Hastings, OntarioRecord Owner? Log in. This statement of faith seeks to provide a verbal picture of what The United Church of Canada understands its faith to be in its current historical, political, social, and theological context at the beginning of the 21st century. It is also a means of ongoing reflection and an invitation for the church to live out its convictions in relation to the world in which we live. Explore the broad range of worship-related events to nurture and support worship leaders across the United Church. The work of the people of God continues Sunday by Sunday and throughout the year. We hope these links will assist in the journey of your local worshipping community. Sunday school is open to all young children, from little to not so little. The program is called Journeying Together, a Christian Development curriculum published by the London Conference of the United Church of Canada. This three year program begins with A Growing People, moves onto A Learning People, and concludes with A Loving People. Our nursery has toys and books that are suitable for very young children and parents are welcome to use this area if their little ones become restless. Older children can spend the first 15 minutes with the congregation which includes a story time, presented by the Minister, and then begin their Sunday School activities and learning. Our Mission: To invite and welcome all to worship God in word, song and scriptures; to grow in faith, to cherish our young, to experience friendship and fellowship, to assist those in need, and to provide a spiritual loving place in our community. 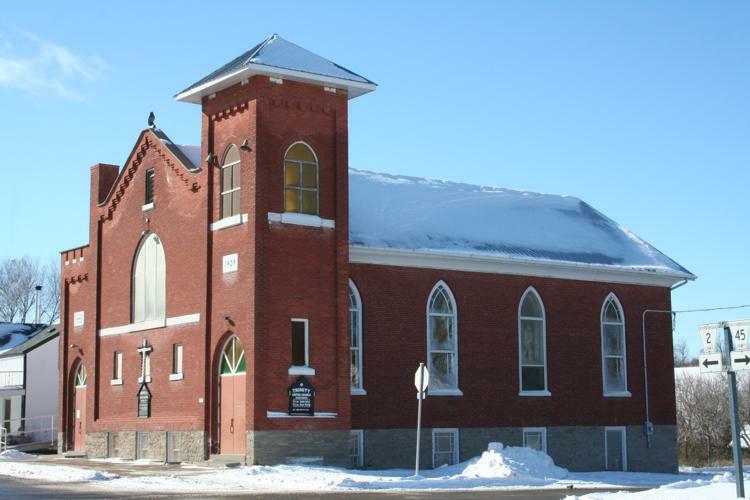 Have something to say about Trinity United Church, Hastings, Ontario?